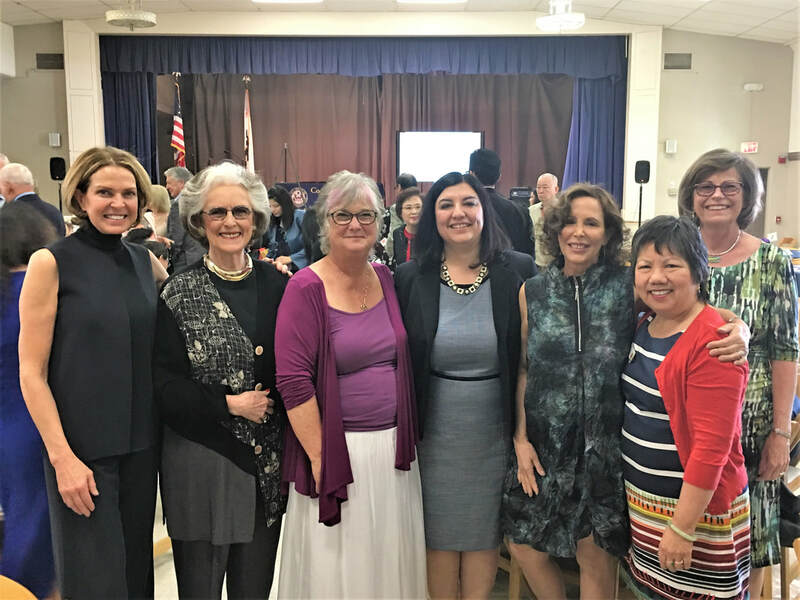 Mayor Khubesrian proclaimed March 8, as 2019 as "International Women's Day" in South Pasadena. ​International Women’s Day is a time to reflect on progress made, to call for change and to celebrate acts of courage and determination by ordinary women who have played an extraordinary role in the history of their countries and communities. We are so proud and honored to receive this proclamation on behalf of the women of South Pasadena and WISPPA. International Women's Day falls on March 8 each year with a new agenda and an evolved inspiration. The theme this year is: Think equal, build smart, innovate for change or #BalanceforBetter. We are entering an exciting period of history where the world expects balance. We notice its absence and celebrate its presence. Whether it is an organization such as WISPPA encouraging women to get involved in our city or an individual, everyone has a part to play - all the time, everywhere – it is everyone’s responsibility. As Ruth Bader Ginsburg said: "Women belong in all places where decisions are being made... It shouldn't be that women are the exception." 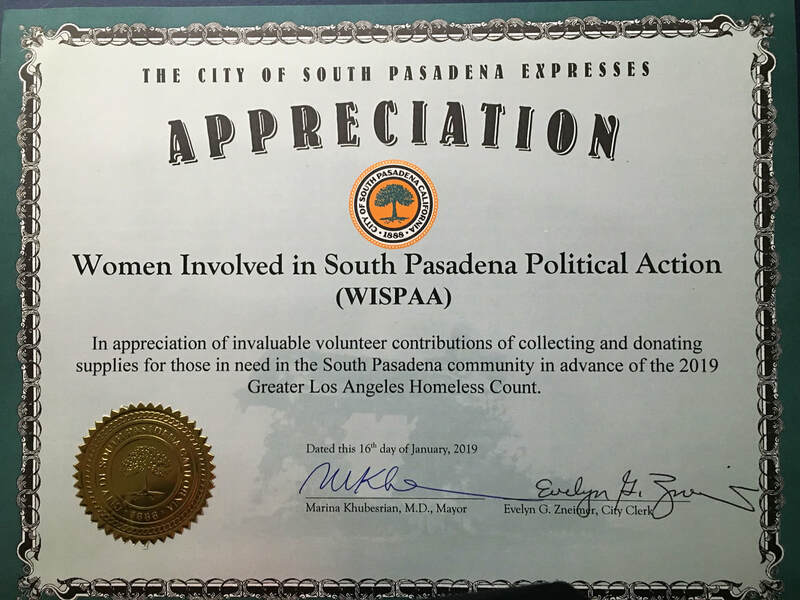 The City of South Pasadena presented WISPPA with a certificate of appreciation for donating supplies to fill backpacks with necessities for the homeless on January 16, 2019. Along with the City of South Pasadena and The Purist Group – an organization of area car enthusiasts - cold weather gear, hats, granola bars, water, a list of local resources, care/hygiene kits, and blankets to bring warmth from the chill of the night were donated. Special hanks to Ellen Daigle and Ellen Wood for coordinating and contributing to this effort for WISPPA. 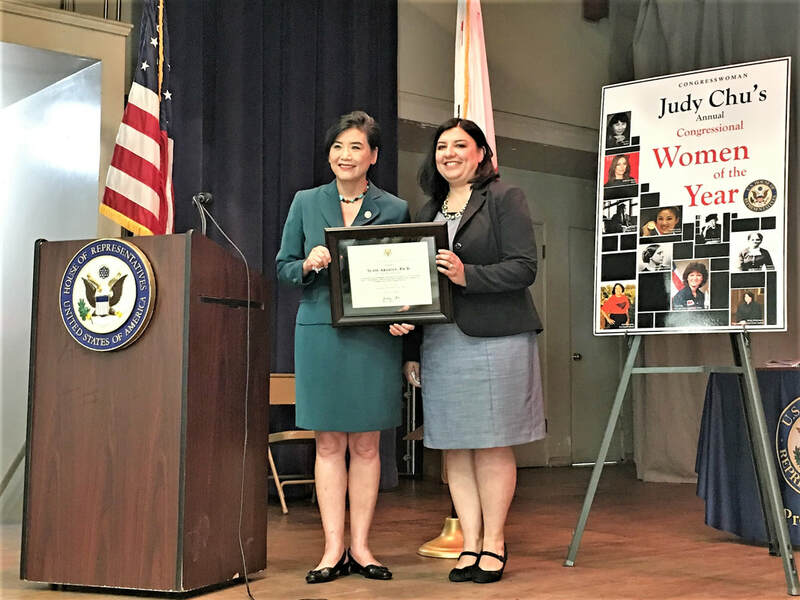 Suzie was one of 12 remarkable women honored by Congresswoman Judy Chu at her 9th annual Congressional Women Of The Year Award Ceremony. Being chosen among numerous worthy nominees is a testament to their commitment, dedication, and hard work to serve their communities and fellow citizens. Suzie Abajian has been a K-12 teacher, a college professor and an education researcher. She has served on the boards of local non-profits including WISPPA and Vecinos de South Pasadena. She is currently a member of the Delegate Assembly of the California School Board Association and has co-founded two Community Supported Agriculture pickup sites in the San Gabriel Valley and the Greater LA area. She immigrated to the US from Aleppo, Syria when she was 12 years old and is the granddaughter of survivors of the Armenian Genocide. The other honorees were Hon. Barbara Messina (Alhambra), Juanita DeVaughn (Altadena), TAk Lau (Arcadia), Gabriela Gamiz (Claremont), Lindsey Rehfeld (Glendora), Linda Wong (Monterey Park), Lena Kennedy (Pasadena), Lizbeth Mateo (Pasadena), Kit Man Shum (San Gabriel), Lucille Norberg (San Marino), Reyna De Haro (Upland). the 2018 Woman of the Year for the 41st Assembly District on March 15, 2018. Assemblymember Chris Holden recognized the 41st Assembly District’s Woman of the Year and Women of Distinction at his Annual District Office Spring Open House. The women were recognized for their service that has a made a positive impact in the community. “Dr. Khubesrian continues to make a positive impact in her community both as a public servant and physician,” said Assemblymember Chris Holden. “She is a tireless advocate for the environment and public health, and is an inspiration to all.” Women of Distinction from throughout the district include Jill Adler-Moore Ph.D. (Altadena), Christy Anderson (Claremont), Sylvia Whitlock Ph.D. (La Verne), Julie Gentile (Monrovia), Kathy Onoye d.D., (Pasadena), Kathleen Tiegs (Rancho Cucamonga), Rhonda Beltran (San Dimas), Joanne Harabedian (Sierra Madre), and Marie Sliney (Upland).“The 2018 Women of Distinction are passionate leaders who improve the lives for thousands of individuals and families in the 41st Assembly District and beyond,” said Holden. “They demonstrate exceptional leadership that all of us should aspire to achieve.” ​She was selected by Assemblymember Chris Holden out of 70 nominees, including fellow WISPPA member and founder, Ellen Daigle. 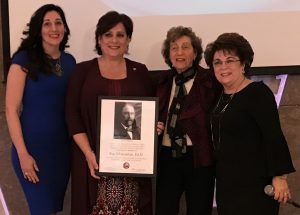 Dr. Kay Mouradian, long-time South Pasadena resident and WISPPA member, received the prestigious Armenian Genocide Awareness Legacy Award at the Armenian National Committee of America (ANCA) Western Region’s annual awards banquet. Dr. Mouradian is a Professor Emerita from the Los Angeles Community Colleges, and holds a doctorate in education from Nova Southeastern University as well as degrees from Boston University and UCLA. She is the renowned author of the novel, My Mother’s Voice, a poignant story based on the life of her mother who as a fourteen-year-old girl from Turkey narrowly escaped the Armenian Genocide. Dr. Mouradian also produced the book into a 25-minute documentary designed for high school history and social sciences curriculum. Premiering at the Toronto Pomegranate Film Festival, the film received Honorable Mention in the Dr. Michael J. Hagopian Award category. It was an official selection in five film festivals, and now My Mother’s Voice is being developed into a musical. A scene from the theatrical production was presented at the awards banquet on Saturday. Kay Mouradian, 3rd from left. 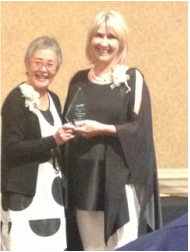 Photo courtesy of "South Pasadena Review"
"In recognition of your dedication to the empowerment of women in the South Pasadena community. Your contributions will continue to make a lasting impact"
Faith Lee, Field Representative for Chris Holden, and Bianca Richards, WISPPA president. 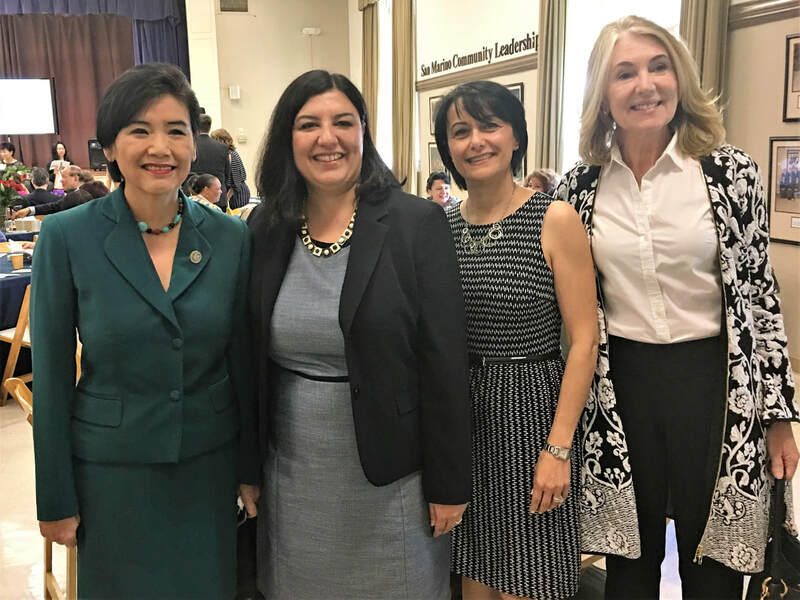 South Pasadena Mayor and WISPPA member, Marina , was honored with the Woman of Distinction Award on April 12, 2014 by Congresswoman Judy Chu for exemplary contributions to the Community. Congratulations Marina! Marina with fellow WISPPA members, Diana Mahmud, Barbara Sinclair and Gretchen Robinette. WISPPA was awarded the Image Award, one of the highest local awards, in recognition of its efforts to promote a positive image of South Pasadena beyond its borders. 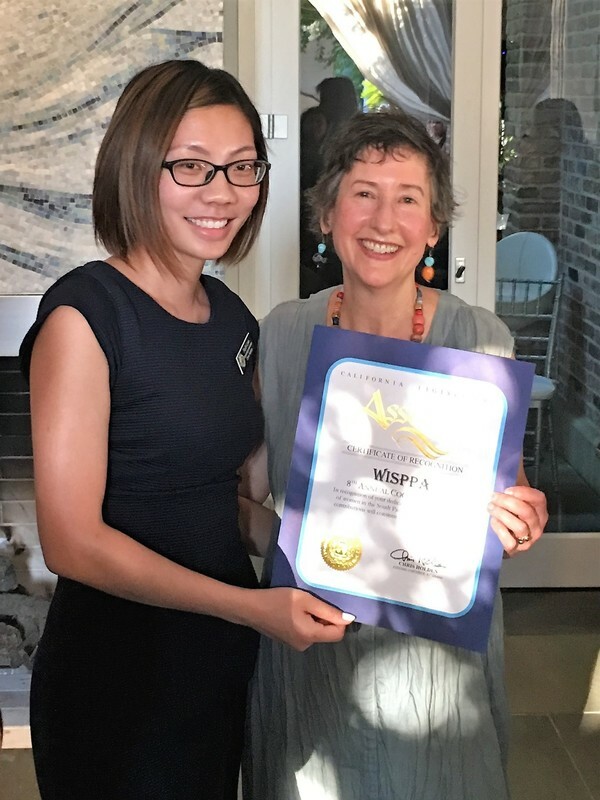 Assembly member Chris Holden has named Pasadena human rights activist and WISPPA member Kay Mouradian as the 41st Assembly District – Woman of the Year. Assemblymember Holden is recognizing Professor Mouradian for her efforts to raise awareness of the Armenian Genocide. Mouradian has written and co-produced the book and documentary film, My Mother’s Voice, a poignant story of her mother who at age fourteen was one of the millions of Armenians forced to leave their homes in Turkey during the Armenian Genocide. 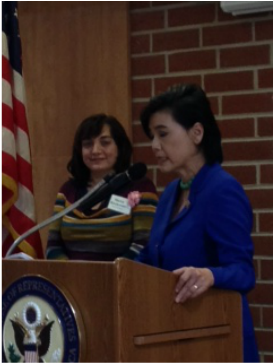 Mouradian was honored as part of the annual Women’s History Month celebration at the Capitol on Monday (March 10). Congratulations, Kay!